Increased productivity. Vertical gardening allows you to efficiently grow more herbs and vegetables per square foot than regular, horizontal gardening can. Even if you only have a small yard or balcony, your can still work within the limited amount of space that you have to maximize it and your use of soil. Easier on back and knees. Vertical gardens eliminate the need to crouch down or squat in order to tend to ground-level garden beds. In a sense, they bring the plants to your level. You can get up close to your carefully-tended herbs even when sitting down or standing up. This makes it easier for older adults and those with mobility issues to care for their plants. Vertical gardens also lessen the need for bending, kneeling and heavy lifting. More options for those with limited space. Vertical gardens are highly customizable and easy to organize. They allow for a number of options for you to display your plants however you want and in areas that would otherwise not have enough space. Urban farmers, in particular, can take advantage of this for growing their food. Vertical gardens also reduce clutter, keeping your potted plants from taking up extra space on your tabletops and floors. This makes vertical gardens ideal for minimalists. Provides greater mobility. You can take your garden with you wherever you go by simply stacking the plant containers inside lawn bags and bringing them to a new area. Some vertical garden setups may require more complicated disassembly and reassembly elsewhere, but the end result is still the same. If you ever have to move to a new home, you won’t have to leave your beloved garden behind. Can be expensive. Many pre-made vertical planting systems are designed with convenience in mind. They are meant to be easy to set up and maintain, but these conveniences often come with a cost, specifically one you’ll have to pay for with your wallet. The initial investment won’t come easy and these pre-made systems can be pricey. However, with a little know-how and some elbow grease, it is possible to come up with some DIY solutions that are more affordable. Building your own vertical planting system from scratch will require a lot of work, but your effort will pay off in the end. Watering and drainage issues. Vertical gardens can dry out very quickly, especially if they are left under the sun. Because of this, they may need to be watered more often than traditional gardens. Once gravity has done its work, all that water will have to go somewhere. This can be problematic, especially if you have an indoor garden. However, you can get around this setback by including a catch basin underneath your plants or by having succulents and other drought-tolerant varieties as your plants of choice. Limited growing space. 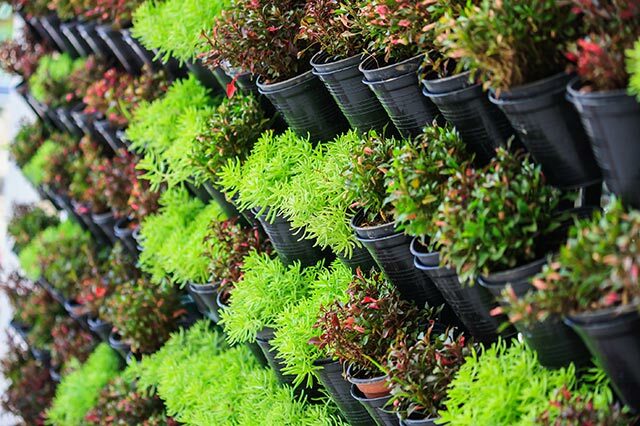 Vertical gardens are better suited for plants that grow upwards rather than outwards. Depending on the setup, there is often very little space for the roots to grow. Vertical planting structures also are typically unable to support larger plants, unless they are kept in a heavy-duty planter. An easy way to get around this is by choosing smaller plants and varieties that grow more slowly. If you want to learn more about vertical gardens and gardening tips, you can read more articles by going to HomeGardeningNews.com.